Mum’s the word: Here’s our pick of six of the best—and worst—mothers in literature. ‘If the mothers of various nations could meet, there would be no more wars.’ So wrote E. M. Forster and, perhaps, he had a point. If everybody’s mother had been created by Enid Blyton, as they really ought to have been—jolly, kind and possessed of a ‘second sight that made them see into people’s minds and know when anything unusual was going on’ (‘like dogs’)—then Forster might have been on to something. Alas, they’re not all quite like that. Forster ought to have known better. Norma Bates may not have existed in his day, but Medea had been around for a couple millennia. Mostly, our dear old mums are lovely creatures who we’d be lost without—they bake delicious cakes and tuck you in at night, they make you laugh, they’re authoritative and clever. But, then, there are the ones that ruffle you up good and proper (as Philip Larkin not-quite-so-nicely put it)—the downright mad and bad. The written word, like life, is jam-packed full of the whole spectrum. Here’s our pick of six of the best—and worst—mothers in literature. 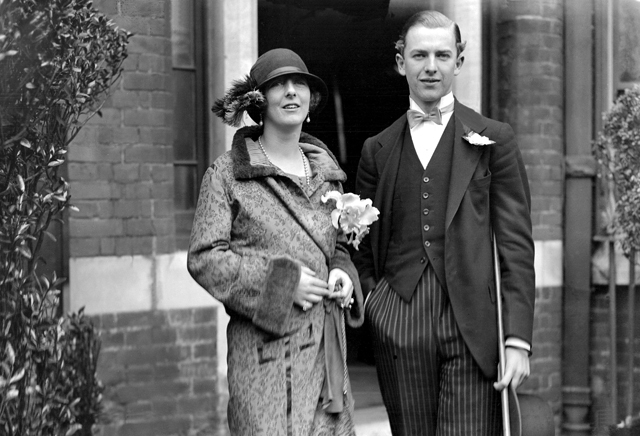 Wedding of Lady Idina Gordon (née Sackville) and the Hon Josslyn Victor Hay at the Kensington Register Office in 1923. Marriage dissolved in 1938. Credit: Topham Picturepoint. The Bolter, a glamorous creature with no other name (so-called due to her habit of leaping from marriage to marriage), flits in and out of the life of her daughter, Fanny, with non-English-speaking lovers in tow. Based on the character of the promiscuous Lady Idina Sackville, The Bolter is described has having fled to Kenya to embroil herself in ‘hot stuff… including horse-whipping and the aeroplane’. Best quote: At the end of the novel, when Fanny explains that her cousin Linda has found ‘the great love of her life, you know’, The Bolter, rather sadly, replies, ‘Oh, dulling… One always thinks that. Every, every time’. 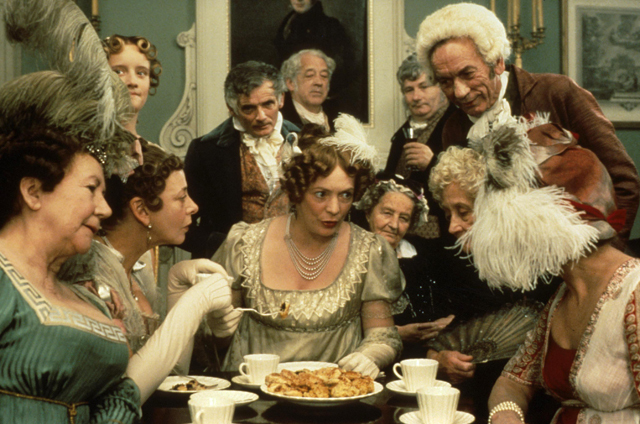 Alison Steadman as Mrs Bennet in the 1995 BBC adaptation of Pride and Prejudice. Credit: Topham Picturepoint. Garrulous, materialistic, irrational, crass and, yet, strangely likeable, Mrs Bennet provides Pride & Prejudice with many of its hilarious moments. Despite her ham-fisted machinations to steer her daughters towards marriage—‘What is the matter mamma? What do you keep winking at me for? What am I to do?’—somehow, she ends up with three daughters married very respectably. As maternal inclinations go, downright murderous is not ideal. 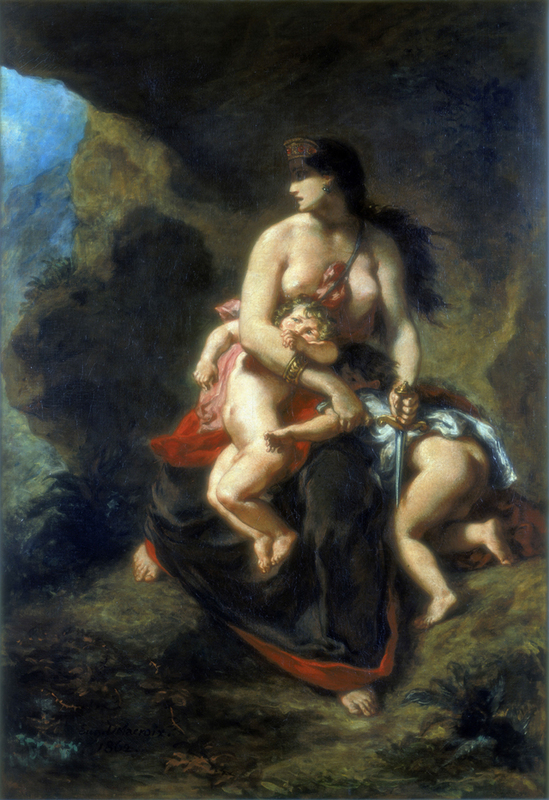 Abandoned by her husband, Jason, the Greek hero of Golden Fleece renown, Medea plots to kill his new bride and father-in-law. She succeeds, and as a final flourish, kills her children, brandishes the corpses to a grief-stricken Jason, then flies off in a chariot drawn by dragons. Revenge most unmotherly. 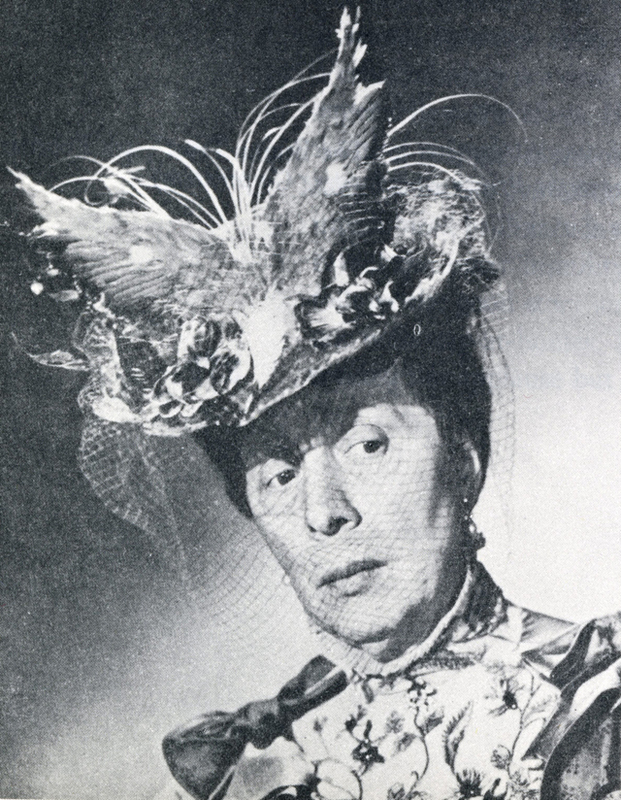 Dame Edith Evans as Lady Bracknell (1951). Credit: BAMS Collection / ArenaPAL. Powerful, arrogant, joyfully humorous social commentator and a true Victorian, Lady Bracknell’s opinions and actions drive the play’s plot, deciding the fate of the two sets of lovers. She is, perhaps, best known for her outrage upon discovering that her daughter Gwendolen’s suitor, Jack (or Ernest), was a foundling, discovered in a handbag at Victoria station. 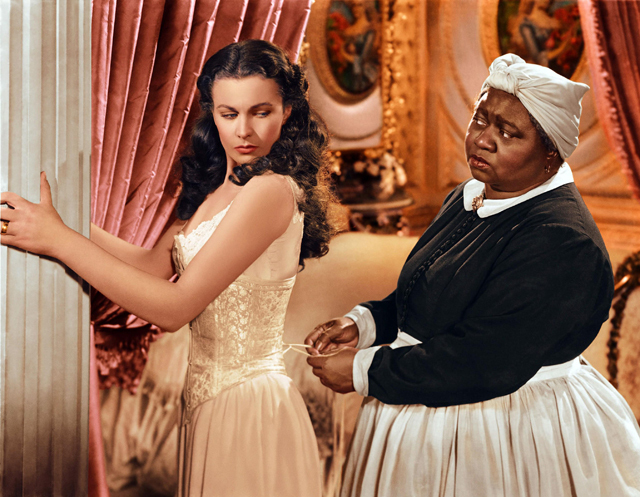 Stubborn, loyal and perpetually scowling with cheeky disapproval, Mammy is far more memorable than Southern belle Scarlett O’Hara’s real mother. Famous for scolding the coquettish Scarlett for starving herself—‘Yes’m you is, you’s gonna eat ever’ mouthful’—her outrageous flirtations and general lack of propriety, Mammy sticks by her heroine through thick and thin, riches and rags, an ever-faithful, romanticised slave of the Deep South. 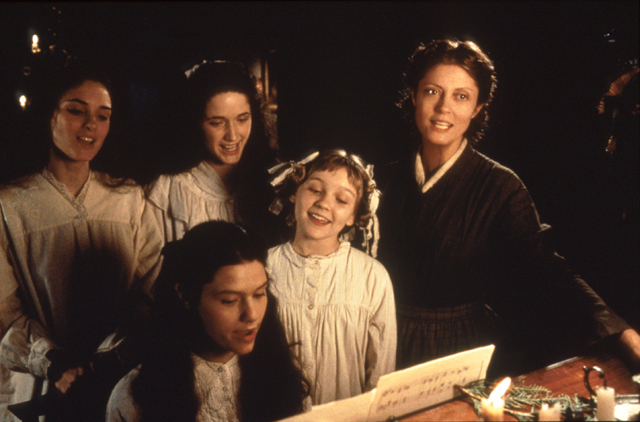 Susan Sarandon as Mrs March in Little Women (1994). Credit: Alamy. Cartoon-like in her maternal perfection, Marmee is mother to the March girls, soldier-minister’s wife, intelligent, modest, hardworking, principled, charitable, patient and a gentle feminist far ahead of her time. She makes sure her daughters are well educated and can think for themselves, she encourages them not to marry for money, despite the family’s poverty, and helps them to learn from their mistakes. The very thought that Marmee is a far too sickly sweet to be likeable makes me feel guilty.